I appreciate the convenience of traveling by train throughout Europe on many levels. Generally speaking, it is a very reliable. Almost down to the second the train you’re waiting for arrives. If it’s going to be delayed, this is communicated on a platform sign; most of the time (along with the local language) in English. A Eurail Pass offers train access of up to 28 countries depending on the specific pass purchased. It’s a great way to see the sites. You always arrive in the city center where shops, restaurants and hotels are close by. Anyone in the world can buy a Eurail Pass (if they don’t live in Europe) before leaving on a trip. The pass was introduced in 1959 and has provided millions of travelers this convenient service. 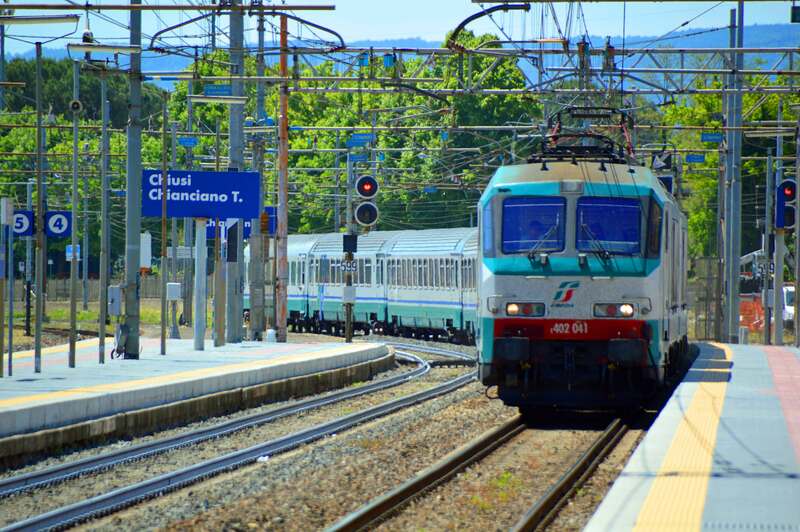 On a recent trip to Italy, for example, I ordered a Eurail Italy Pass. I was able to travel from Florence to Chiusi-Chianciano Terme close to Adler THERMAE Spa & Resort. After three days at the resort I traveled to Venice and two days later back to Florence. Even in 2nd Class, trains are spacious and clean. My Eurail Pass and Passport. Expanding your travels? Passes are also sold for the number of countries you are visiting along with number of days and time span. 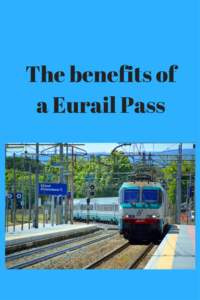 With a Eurail Pass you have access to the rail networks and some ferries in 28 European countries depending on pass specifications. Before you leave home check on train times so all you have to do is show up and get on the train. Conductors are used to Eurail passes and other than documenting the date and journey, there’s nothing to do except enjoy the journey. A 1stclass Adult Pass is valid in both 1st and 2nd class coaches. 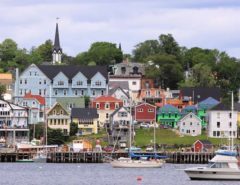 Adult, youth (up to 27-years-old) and children passes (under 4-years-old travel free) are available and discounts are offered for groups of two to five travelers and families with children ages 4 to 11. Get on the email list so that you’ll know when specials are being offered. Eurail is a convenient, easy way to travel throughout Europe and makes for one less thing to worry about. Thank you so much for following my blog. I am also a print writer, but I am trying to add a new blog every week. I so appreciate your kind words!! Great article, Marilyn. Thank you for the specific information about using a Eurail pass ! I love Eurail and have used it many times! It makes train travel so easy. I traveled on a Eurailpass in my college days when I spent a summer traveling around Europe. It was great not to have to worry about costs once I’d bought the pass, because train fares were and are expensive in Europe. To add to your story, if you live in Europe, you can get an equivalent pass called Interrail that offers pretty much the same sorts of options. I think it’s the same organization that offers both, but I’m not sure. Thank you for the Interrail tip! I really appreciate pass convenience and its ease-of-use. That’s interesting – I was thinking of trying something similar. Did you book your accommodation as you went along, or did you decide where you were going before you started the trip? I decided before I went. You can easily check train times so you’ll know how long it will take to get to a new destination and plan ahead. ‘Course, I always like to know where I’ll be staying. I just think, especially in a bigger city, knowing where to walk or where to tell the taxi driver to go is easiest. 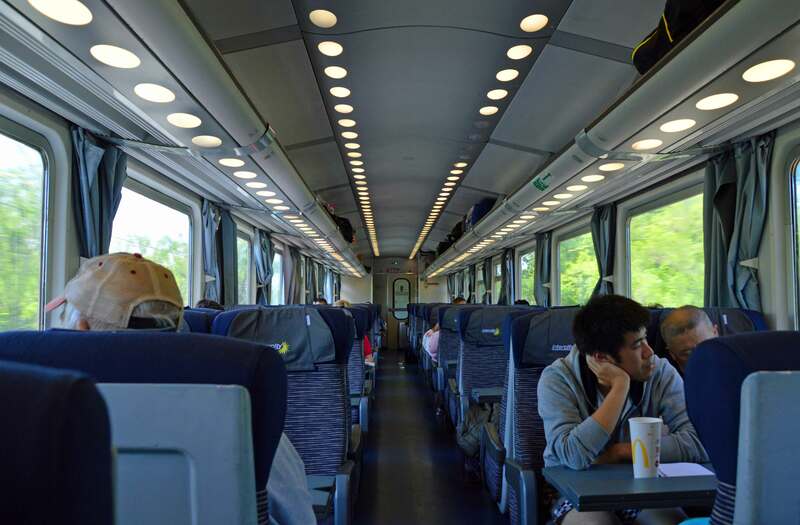 We usually choose to travel by train in Europe (and Japan! ), but I’ve never used a Eurail pass. I think I might have priced one once for a particular trip and it was less expensive to buy the tickets we needed, but that was a while ago and I think Eurail might be more competitive now. Reading this is making me want to go on a train trip! I believe it depends on the distance you are traveling whether it is cheaper or not, but the convenience is great! I love train travel especially when I am unfamiliar with an area. Years ago I traveled by train every day from Bay Head, NJ to Manhattan; much better than driving it!! I love traveling by train and, since we moved to Portugal, I’ve eyed the Interrail Passes many times and have actually planned many fantasy trips in my head. The prices are quite reasonable and they even offer discounts for seniors of 60 years of age and older. There are lots of pluses to those birthdays adding up! The Interrail Pass would be perfect for you! And the senior discount for Interrail, Eurail and other train passes are great!! I too have had many train journey dreams/plans in my day. And, hopefully, some of them will come true! A Eurail pass sounds like a great idea for travelling through Europe. I certainly would look into as an option. Your fine print tips are good to know. Over the years I have used BritRail and Eurail. I think they’re great and help with planning what train travel will cost without adding up each journey. We should consider this for next year’s 1 month stay in Europe! Hope it’s available for Portugal, Spain, and France! Depending on how many days you are traveling, it should work perfectly! They actually have a special three country pass for Portugal. Spain and France! Here is the link https://www.eurail.com/en/eurail-passes/select-pass/three-country/france-portugal-spain. Sounds like a wonderful adventure you are planning! 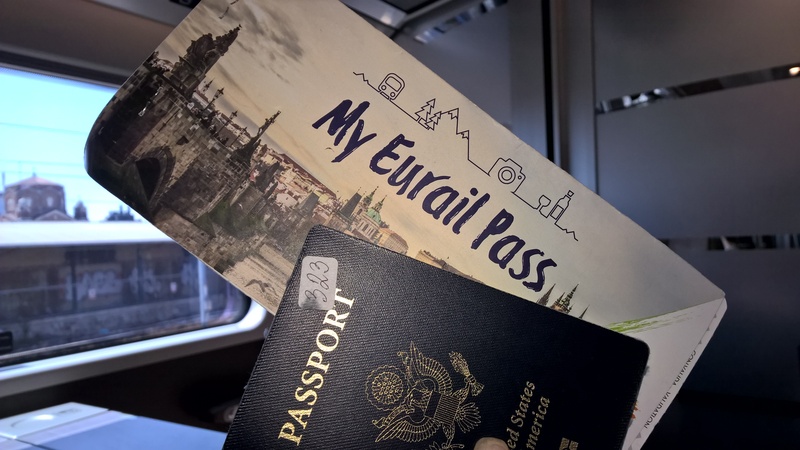 I so enjoy traveling by train but haven’t tried the Eurail Pass. We’ll have to look into it for our next trip to Europe. Thanks for all the information. I enjoy traveling by train too. So much easier, especially in Europe, than renting a car and trying to figure out maps, parking, and finding hotels and attractions. Give me a train and a taxi!